SMIDGE OF THIS: Santa? I Know Him! 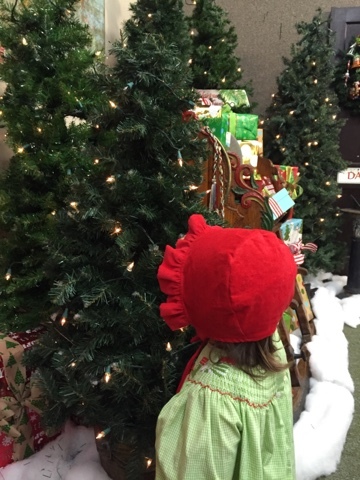 So, this was year two for Santa visits for us, and half of me was filled with high hopes that my little social butterfly would be all giggly, hamming it up, blowing kisses to Santa. The other (more realistic) half of me knew that the separation anxiety stage we've been witnessing lately might come out to play ... and ohhh, it did. 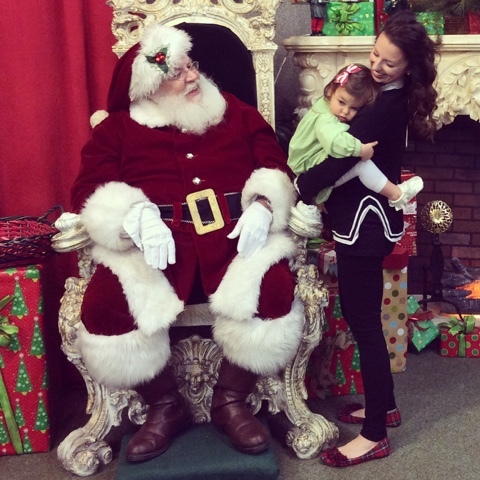 But I will say this: there is no better Santa -- or Santa set-up -- in all of Charlotte than the one we visited! Santa was so sweet, kind, and patient, and even as my stage five clinger held on to me for dear life and refused to sit on his lap, we still got some beautiful photos! 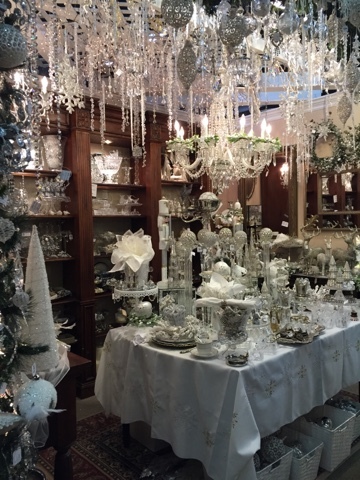 Charlotte has a beautiful store called Blacklion, and they go all-out with their winter wonderland. 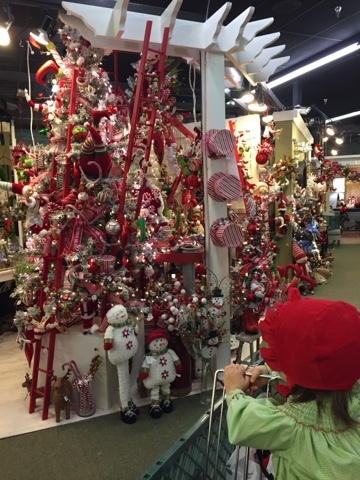 Santa will be at the store on two more Saturdays -- December 12th and 19th -- from 1-4pm. You can follow them on Facebook for more store event information here. Seeing Santa is FREE, and you can take your own photos -- as many as you'd like! Additionally, they have someone there to snap photos for you at no cost, and they are emailed to you afterwards. It's just too good! Camille (and her friend, Ella!) both had on bonnets from The Tipsy Bunny, and Camille also wore a bow that I made her. I have recently added a few boys to our Etsy shop (here)! The smocked dress she is wearing was bought at a consignment store, and she is wearing Freshly Picked snakeskin moccasins. Before we left, we shopped around at some of the booths in Blacklion. 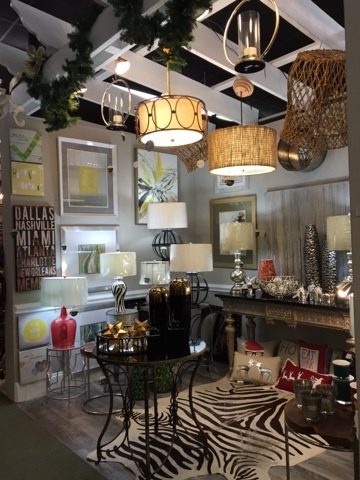 They have the most gorgeous holiday set-ups ... tons of great gifts, and lots of decoration inspiration! 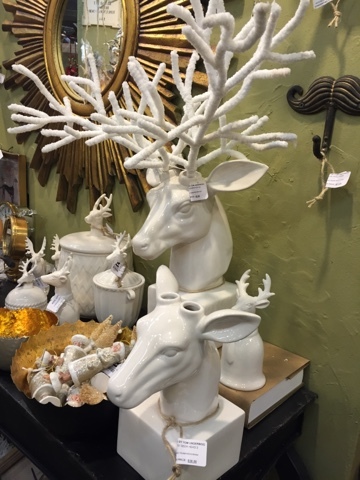 I especially loved these vases where you can add twigs and flowers to make up the deer antlers. I found a smaller but similar one on Amazon for anyone that is in the market and not near Charlotte -- here! Thanks again to this sweet Santa for making our second "Ho Ho" visit a memorable one. We loved seeing the man in red ... well, at least one of us! CHARLOTTE READERS! Blacklion gave me a $25 BLACKLION gift card to raffle off on this blog! Please comment here that you'd like to be entered in the drawing -- I will announce the winner's name on Friday. :) Thank you, Blacklion! love Blacklion! enter me please. Oh my goodness these are just too cute! Clinging to her Mama for dear life! Elise said that, that was the best Santa ever!! Those bonnets are precious precious!!! Thank you for highlighting all the fun spots for kiddies in Charlotte! Pick me! Love Blacklion! Merry Christmas!!! Thank you again for organizing this!!! 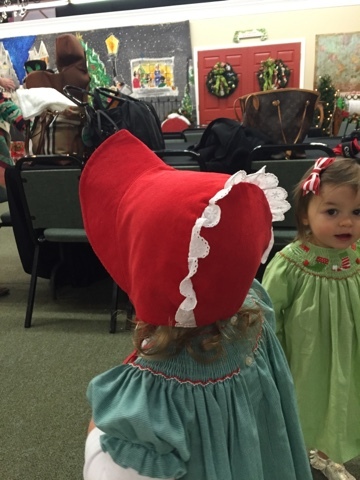 So glad you got a picture of Ella in her bonnet! How awesome is that! Too funny that Camille did NOT want you putting her down!! We are going to see Santa this weekend & I am hoping & praying that Jack will be so amused by him & will laugh with him.... but, like you being more realistic and know that it's likely going to be the complete opposite! We shall see! Love the deer with empty antlers! How fun!! Beautiful! Love BlackLion. Please enter me in the drawing! Blacklion is fantastic! Please enter me in the drawing. 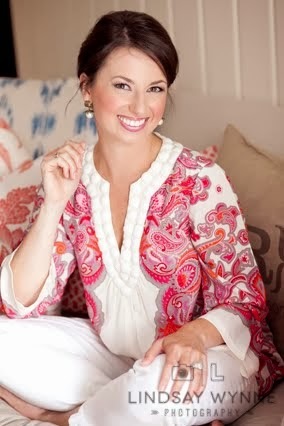 Camille's smocked dress and bonnet… omg I can't even handle the cuteness! Adorable! I was in Black Lion last week, I need to go back when I have longer to peruse!! We might need to visit this Ho Ho on Saturday! I live in Winston-Salem and my MIL lives in Charlotte. Can I enter? I LOVE Blacklion. So cute. I will have to take my little guy I've been looking for somewhere. Please enter me in the raffle too. Please enter me in the raffle! Thanks! Love Blacklion! Please enter me! These Santa pictures are amazing!! Merry Christmas! These are the BEST pictures!!! WE LOOOOOOVE that Blacklion!!!!!!! !